If you've already registered with ESL Jobs, please do not re-register. Click here to login into your account. 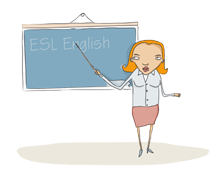 If you haven't registered with ESL Jobs, please take a moment to register (free). Once registered, you may post your resume (free) and signup for automatic job notifications by e-mail - Jobmail (also free).